Mental blocks – Teachers – Goal setting. All kinds of mental blocks will prevent you from reaching your goals. A person that is truly free within them self to reach their goal – will do so. All kinds of mental blocks will cloud your vision if you are not truly ready. You prepare by purity of thought; think through and remove any conflict or contraction in your thoughts, beliefs and actions that are not in line with your goal. When you are truly free within yourself to reach your goal then you will find all the answers that you will need. The right people, places, events and ideas will all show up as you need them. •	You will not hear it until you are ready to listen. •	You will not see until you are ready to look. •	You will not find until you are ready to seek. 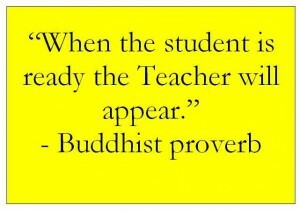 The Teacher will appear when you are ready; that Teacher may be found in any number of forms. The Teacher may be in the form of an old book, a mentor, a DVD, an old quote that you now hear and understand better than ever before. If you cannot find the lesson that you need, try rereading a self help / personal development book you read some time ago, a book that you think you know. Read it again, more open minded to what it could teach you and you may be surprised what you will find. No one can do it all by them self, without the help and advice of others we will not get far, but the help and advice we need will not come from fools who cannot keep their own house in order. 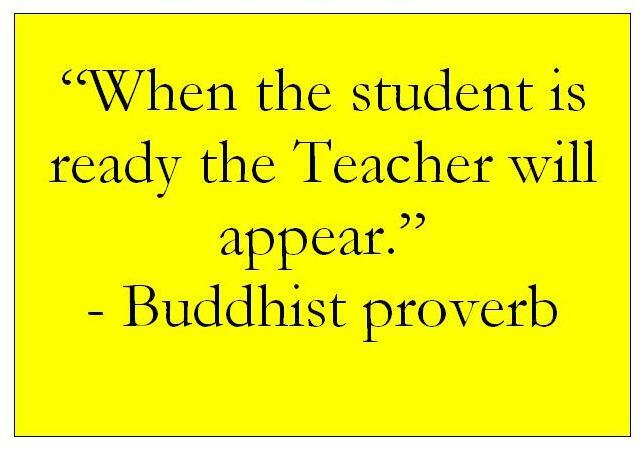 You are the student; get ready, then find a suitable Teacher to help you, with the knowledge and experience needed to point you in the right direction. Set your mind and the answers you will find.